By combining entertainment and education into an inspiring format audiences love and that he calls “edutainment,” Clay is helping to improve the lives of thousands of people across the country. Since being named the Metro Chamber of Commerce Entrepreneur of the Year at the age of 20, Clay has traveled across America speaking to groups both large and small including Farmers Insurance, Valspar Paint, Hewlett Packard, O’Reilly Auto Parts, OXI Fresh, and countless other groups. Featured below are just a few examples of Clay Clark and his customizable presentations. When your group needs a speaker who can both entertain and educate while empowering people with a practical message that has the ability to change lives, give Make Your Life Epic a call. Clay Clark educates, inspires and trains a group of real estate agents at EXP Realty. Clay Clark educates, inspires and trains a group of business owners in New York City on how to goal set in a measurable and executable way in order to help the audience turn their distant dreams into a present reality. Clay Clark teaches how to diligently schedule your success through the power of time-blocking and delegation to a group of banking executives at the International Community Bankers Association Event in beautiful Las Vegas, Nevada. Clay Clark speaks to a group of college students. Clay Clark teaches a group of international transportation professionals in Chicago, Illinois the best-practice and step-by-step process of how to get the most out of each and every day. Clay Clark instructs a group of publishing professionals on the secrets of how to win in a challenging economy through the power of goal setting and a commitment to on-going self-improvement. Clay Clark speaks at the Annual Universal Windows Director business owner conference. Clay Clark speaks in sunny San Diego, California to a group of business owners about how they create their own luck as a result of implementing a “soft sales” approach to their sales processes. Clay Clark teaches a group of paint wholesale professionals how to exponentially increase their sales totals while expanding their minds and growing as people in the process. Clay Clark speaks at the OXI Fresh Annual franchise and business builder conference. Clay Clark speaks on the importance of former CEO of GE’s belief that you must “Face reality as it is, not as it was or as you wish it to be” to a group of small business owners. Clay Clark teaches a group of medical professionals that best-practice customer service systems that make Disney World, Starbucks, Trader Joe’s, Southwest Airlines and other top companies great. Clay Clark teaches a group of insurance professionals at the National Association of Insurance and Financial Advisors how to dramatically improve their time management skills. Clay Clark trains an audience of business owners in Louisville, Kentucky how to utilize public relations systems to help them grow their businesses. Clay Clark trains a group of call center professionals at university how to experience success within a call center environment. Clay Clark teaches a group of security professionals how to install scalable and replicable quality control systems to allow business owners to maintain or increase the quality of the products and services they produce on an annual basis while experiencing rapid growth. Clay Clark teaches how to create marketing system that is designed to wow clients and to stimulate sustainable word of mouth. Clay Clark speaks to the United States Government Accountability Office staff at the beautiful Anitole Hotel in Dallas, Texas. Clay Clark teaches a search engine optimization website for a local Chamber of Commerce. Clay Clark travels to the wonderful Hilton Hotel Resorts in New Mexico to teach a group of customer service professionals and sales teams at the Hewlett Packard call center on how they can change their mindsets simply by changing what they feed their minds. Clay Clark teaches a group of painting professionals how to implement the best-practice customer service systems being used today by Starbucks, USAA, Disney World, Southwest Airlines, Outback Steak House. 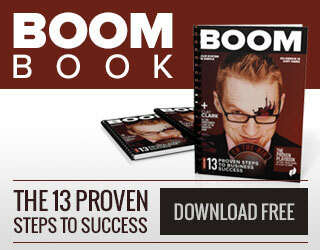 How can Clay Clark motivate your audience and inspire your group? Whether we like it or not, most audiences reject or accept a message based on the quality of the message delivery, not the quality of the message. Thus, having founded the nation’s largest mobile entertainment company and having entertained for over 1,600 events over the past decade, Clay Clark has a decided advantage over other speakers. If you are wanting to educate and entertain your audience, Clay Clark will deliver every time. For more information about how Clay Clark can inspire and motivate your audience call Make Your Life Epic today. Advertising portal for any type of land,property or natural resource,oil,gas,mining. Land, rural properties,building lots,ranches,homes,real estate for sale. Realtors,private, corporate sellers are welcome to advertise 4 free during our 2013 special. Learn what you need to know to get where you want to go. Hire Clay Clark to speak to your group today. Clay has entertained and educated at well over 1,500 events at public events and at companies as diverse as Quik Trip, Bama Companies (the dough makers for McDonald’s, Subway & Pizza Hut), UPS, IBM, Boeing, the United States Government Accountability Office, Farmers Insurance, Maytag, the Renaissance Hotel, Valspar Paints, and hundreds more. Unlike most of his peers in the “speaking industry” Clay speaks from first-hand business experience as he is the owner of 9 businesses for which he has been twice honored with the prestigious “Entrepreneur of the Year” Award from the United States Small Business Administration and the Metro Chamber of Commerce. Due to time constraints, Clay is not currently accepting gigs outside North America. One Encounter Has the Power To Change Your Destiny & Your Company’s Trajectory. Since having Napoleon Hill’s classic self-help book entitled book, “Think & Grow Rich” forcibly introduced into his life by Jeremy Thorn (his boss at the time), he has lived what many have referred to as a “charmed life.” With 5 kids, 1 beautiful wife and 9 successful businesses all coexisting many have said that Clay just has the “Midas Touch.” However, upon a closer look one will quickly discover that his success is the result of the careful studying and applying of the success principles and best-practices demonstrated by America’s leading entrepreneurs. Having received the Metro Chamber of Commerce “Entrepreneur of the Year Award” at the young age 20, and the United States Small Business Administration “Entrepreneur of the Year Award” at age 27, Clay has benefited greatly from the mentoring of other successful entrepreneurs. Clay’s life was dramatically changed because one supervisor who had the boldness to mentor him. Today, Clay’s passion is focused around helping people like you to dramatically improve your life as a result of diligently implementing the best-practice business techniques, systems and principles that he teaches. Clay’s Philosophy: Study Successful People & Businesses, Then Do What They Did To Become Successful While Making Slight Modifications To Fit Your Life Style, Your Values, Your Business Model & Your Goals. How can Clay Clark help you educate your small business community, Chamber of Commerce of business group? 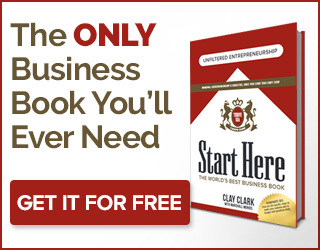 As Clay has spoken to countless business groups throughout the country he has discovered 2 major areas where most small people struggle the most. Most small business owners don’t know where they want to go, and most small business owners who do know where they want to go have no idea how to get there. They believe that if they “work hard” they will achieve success, and unfortunately that is simply not the truth. If an entrepreneur works hard for a decade they will be no further ahead than a business person who does not work hard if they are not doing the “right work.” Succeeding as an entrepreneur is all about learning and implementing “best-practices” that have been proven to work into your business. Over the past 12 years Clay has helped a party rental business, a nation-wide insurance brand, a national paint manufacturer, a commercial real estate firm, an appliance store, a bakery, colleges, ministries, countless non-profit groups, satellite companies, a snow cone company, a web design firm, graphic design firms, restaurants, country clubs, bridal stores and exclusive clubs to dramatically improve their businesses. Call the Make Your Life Epic team today and you will quickly learn what you need to know to get where you want to go. How can Clay Clark inspire your young people and college students? Today’s young people often reject education because they see it as being irrelevant to their lives and non-entertaining to their senses. However, audiences throughout the country can’t say enough about how much they love the education and entertainment of Clay Clark. Clay’s witty delivery and humorous approach keeps younger audiences entertained while his award-winning career provides them with countless hilarious and pointed anecdotes to pull from to make the time-tested and proven success principles come alive.